Redbuds are best known for their magenta-pink pea-like flowers that bloom profusely before leaves emerge in the spring. It’s a beautiful small tree with a very naturalistic form, often multi-trunked and wider than it is tall. In its natural setting eastern redbud is what foresters may call an edge tree—a tree that enjoys life at the edge of the forest where it can get just enough sun to survive and reproduce. 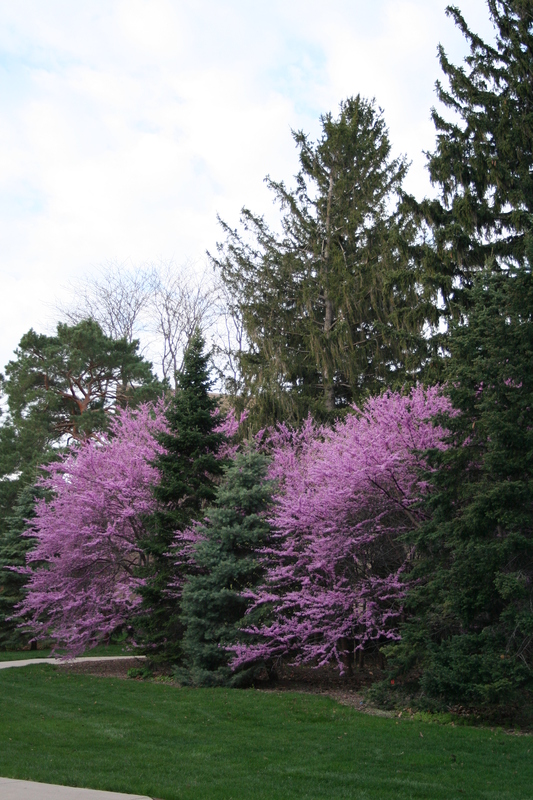 The best locations to plant redbud would be on east facing slopes or in partially shaded, mature lawns. We would not recommend planting in soils that are heavy clay. The name redbud refers to the reddish flower buds that appear shortly before flowering. The flowers appear in clusters on bare stems and often on large branches and even the trunk itself. Pollinated flowers develop flattened, bean-like, brown pods 2-4” long that mature in August and persist well into winter. Redbud is also known for its heart-shaped, smooth-edged leaves that grow 3-5” long and wide and often turn a soft yellow in the fall. 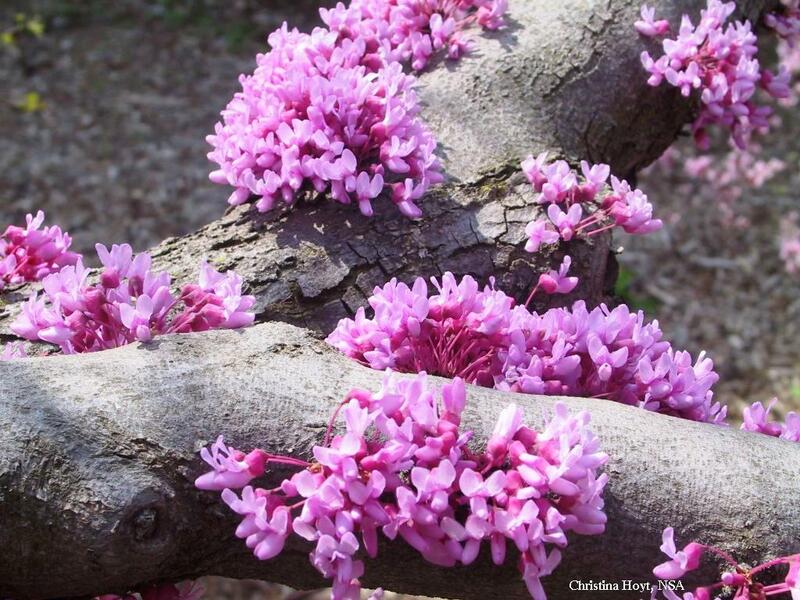 When properly grown, redbuds are mostly devoid of serious insect or disease threats. In the late 1950’s the Lions Club in Tekemah, Nebraska took on a project to plant redbud throughout the town. Seedlings were purchased and members actually planted many of the trees. The tradition was continued in subsequent years when local banks would purchase redbud seedlings and hand them out to customers and school children. Many of these trees can still be found in Tekemah and they are quite visible in the early spring.